What is a First Meeting of Creditors (341a Hearing) in NJ Bankruptcy? 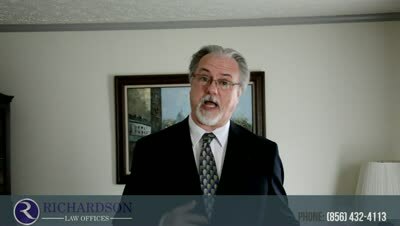 The First Meeting of Creditors (341a Hearing) in Bankruptcy Have you filed bankruptcy but are wondering what is going to happen at your meeting with the trustee? Have some misgivings? Find out what's in store! You have filed for bankruptcy and are now scheduled to go to something called a "First Meeting of Creditors," also called a "341a Hearing" after the section of the bankruptcy code that requires that this be held. What is it? Why do you have to go? This hearing is nothing more than a meeting with your bankruptcy trustee during which you will be placed under oath and asked questions about your bankruptcy filing, and it is scheduled for a date 30-45 days after you file your bankruptcy. Your attorney will be there with you. There is nothing to fear about this meeting, and if everything goes well, and you provide all the information that the trustee requires, there will be no "second" meeting; you will be finished other than dealing with possible car loan reaffirmations and taking your debtor education class. Do Creditors Ever Show Up? Another thing to bear in mind is that although it is called a "meeting of creditors," creditors themselves rarely show up! Even if they do, their questions are limited by the trustee. Thus this meeting is really all about you and the trustee, with your attorney there to help you. If you are looking for more information about bankruptcy, then download my free book,Top Questions People Ask About Filing Bankruptcy in New Jersey. What is bankruptcy trustee and what does he/she do? ?What do I do with debts I owe to friends or family; Do I have to include it in my NJ bankruptcy? ?I filed bankruptcy in NJ; why isn't my credit report showing that I am making my mortgage payments on time? ?Proving Undue Hardship in Bankruptcy: What is a "Persistent State of Affairs"? ?Do I make too much money to file bankruptcy in New Jersey? ?Can a NJ Chapter 7 Bankruptcy Continue After a Debtor Dies?